Rymill is in the heart of the world-renowned Coonawarra appellation in South Australia and the estate produces elegant, classic wines made exclusively from grapes grown in its own terra rossa vineyards. Visitors to this distinctive, modern winery are welcomed by the two large majestic bronze stallions that stand outside the tasting room. 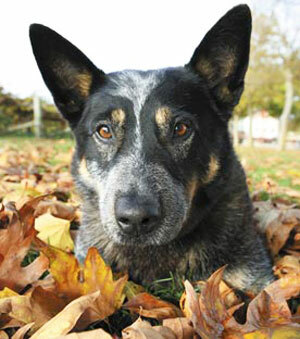 Another Rymill icon that often greets guests is none other than Reg, the blue heeler. Although not as dramatic as life-size bronze horses, Reg quickly captures visitors’ hearts with his easy-going charm and inside knowledge of where to find the best spots to relax in the sun. Obsession: Going places. Anywhere. Let’s drive! Pet hates: Cats, possums and three-tonne grape bins on his tail.